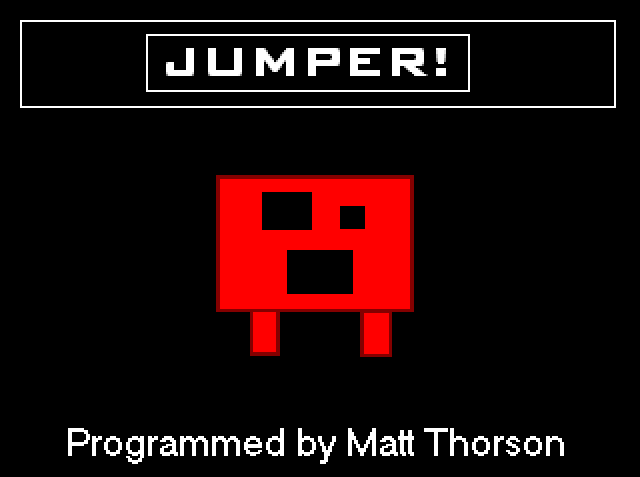 Fledging independent game developer Matt Thorson made his first significant mark on the medium in February of 2004 with Jumper. Though not quite his debut effort, it was the first one he felt worth mentioning in retrospect. This minimalization of the platforming games he grew up with was highly praised in the independent circuit. Shortly after the release of Jumper, he teamed up with another Game Maker-user who went by the name Dex. The game that resulted from their collaboration, Dim, drew a lot of inspiration from Jumper while also giving its protagonist the ability to hop between dimensions in a manner reminiscent of The Legend of Zelda: A Link to the Past. This game also found an audience and would be referenced in later editions of the Jumper level editor. As Mr. Thorson gained more experience programming, he used what he learned to fine tune the physics in Jumper and create a sequel. This game, simply entitled Jumper Two, was released in June of 2004 – a mere four months after the release of the original. Being his third game in the span of a year, what does Jumper Two bring to the table? Following in the trail blazed by the word-of-mouth success of Cave Story in 2004, an entire scene for independent games began to grow. Many independently produced games had existed before 2004, but Cave Story showed the world that they need not settle for being lesser than studio-backed efforts. In the following years when digital distribution platforms became more commonplace, it wasn’t uncommon for these games to appear alongside AAA efforts on popular consoles. The year 2008 is considered something of a watershed moment for the independent scene. It was the year that saw the release of Braid and World of Goo – both of which were critically acclaimed even when held to the same standards as AAA titles. 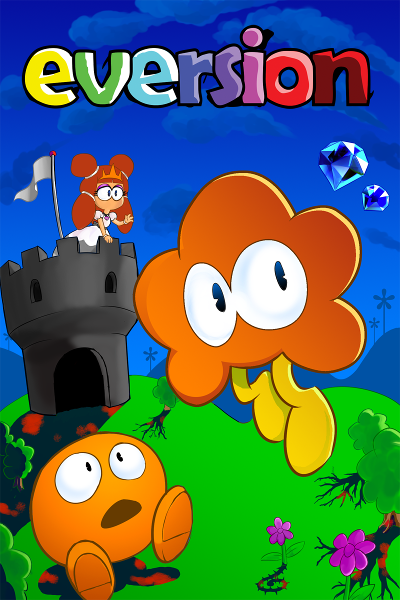 Nearing the end of 2008, Zaratustra Productions, the alias of Brazil-born British developer Guilherme Töws, released a freeware game named Eversion. Thanks to two prominent internet personalities at the time, one a Let’s Player and the other a webcomic artist, Eversion began spreading over the internet like wildfire. Owing to how it made its way to hard drives around the world, Eversion could be seen as one of the earliest instances of a game being exclusively spread through the use of memes. What, exactly, about Eversion allowed it to enjoy this unexpected popularity? Shortly after graduating from college, a man from Ireland named Terry Cavanagh began working in a bank. He considered it a fine job, but he wasn’t happy with his work. Citing the games he grew up, he constantly thought about creating one of his own. He had experimented with the medium while in school, creating small QBasic games, but now that he worked a job, he couldn’t find the time. Believing he wasn’t ever going to achieve anything if he did nothing, he carefully began saving up money to fund a new project. His tenure with his company ended in a rather abrupt, unexpected manner. He became intoxicated at a staff night out and told everyone present that he wanted to quit and spend all his time making games. Mr. Cavanagh’s boss quickly found out, and when he asked him about it, he impulsively gave him his notice – despite not having saved nearly enough money at the time. Mr. Cavanagh’s first title was a platforming game made playable through Adobe Flash entitled Don’t Look Back. This simple game, originally launched in 2009, combined two concepts. He wanted to create a “silly shooter” where the events were shown from a different perspective and a narrative in which the gameplay acted as a metaphor for the player’s actions. Though few formal reviews were written due to it not being a commercial release, journalists praised it for eliciting different responses from its players. In particular, the staff of the online video game magazine The Escapist found the game addictive and “a perfect example of doing more with less”, making sure to highlight its “wonderfully haunting aesthetic”. Around this time, Mr. Cavanagh decided to participate in a game jam held by the website Glorious Trainwrecks. Every month, the site would hold a jam called the Klik of the Month Klub. The event was named after Klik & Play, a script-free programming tool developed by Clickteam in 1994 that allows its users to create video games of their own. Mr. Cavanagh sought to enter the competition himself with his own entry: Sine Wave Ninja. It was, in his words, “a simple action game that didn’t really work out”. Nonetheless, he had developed something about the character’s basic movements that he wished to explore. Specifically, this got him thinking about a gravity flipping mechanic, how it’s usually handled in games, and what new directions to which he could take the idea. From this line of thinking, his next project began: a platforming game in which players had to constantly reverse gravity and avoid hazards. Admitting he didn’t have a knack for naming things, he settled on VVVVVV as a title. This decidedly unconventional title is a twofold reference. It alludes to the spikes that serve as the primary hazard players have to avoid as well as the names of its six main characters – all of which begin with the letter “V”. There was one key difference between Don’t Look Back and VVVVVV; the latter would be Mr. Cavanagh’s first commercial release. Understandably, going from using the Flash model wherein his woes ended when he found a sponsor to deciding how much he was willing to charge people to play his creation terrified the new indie developer. In interviews leading up the release of VVVVVV, he was taken aback after making a blog post asking for donations to help him submit his work to the Independent Games Festival. He never suspected that in the first few days, he would have dozens of donations, exceeding what he was asking for. He had over one-thousand dollars by the end of the week. As it turns out, these donations were well timed, as his finances had been dropping rapidly. He admitted that he was only a week or two away from having to beg his friends and family for money to get him through Christmas. 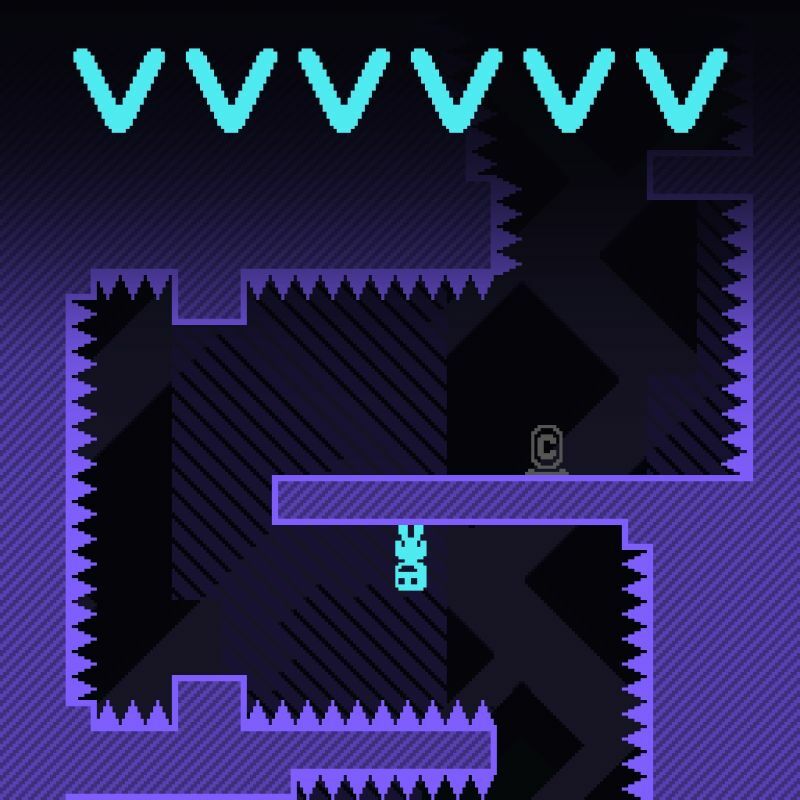 Despite these numerous setbacks, VVVVVV was released in January of 2010 for personal computers everywhere. Though it didn’t quite amass the universal acclaim Braid and Limbo enjoyed, VVVVVV is considered one of the premier indie titles that helped the scene blossom into a formidable force in the 2010s. Did a gem arise from the decidedly tumultuous development? To the Moon proved to be a hit in the independent circuit upon its 2011 release. Using RPG Maker, the creators opted to create an experience devoid of combat. 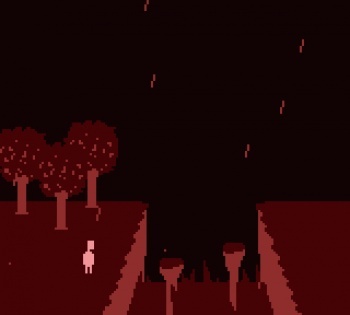 In a sense, Freebird Games followed in the footsteps of the cult classic Yume Nikki in how they did not use the software for its intended purpose, yet created something more memorable than many games that treat combat as their bread and butter. Though critics admitted the gameplay was lacking, they had a lot of praise for both the story and its soundtrack. The theme song, “Everything’s Alright”, was written and composed by one Laura Shigihara. With a French-American mother and a Japanese father, Ms. Shigihara grew up in both the United States and Japan. She had been classically trained on the piano for eleven years, and taught herself how to play the guitar and drums. In her college years, she was given an old version of Cakewalk. From there, she learned about mixing, arranging, and production through recreating video game soundtracks, eventually leading her to create her own songs. A friend ended up leaking her original material to Japanese record companies. She was offered contracts to become a singer, but she turned them down for personal reasons. When she returned to the United States, she took a job as a sound director for a company that produced an audio talk show and English learning programs through Apple of Japan. During her tenure there, she cut a studio album and composed her first soundtrack for small game called Wobbly Bobbly. Such was the extent of her excitement that she told them she would work for free. They liked her music so much that she was paid to create music for subsequent projects. From that point onward, her portfolio blossomed, with one of the most notable projects she contributed to being the highly popular 2009 tower defense game, Plants vs. Zombies. Her continued success saw her participate in a compilation album arranged by Silent Hill composer Akira Yamaoka entitled Play for Japan. It was a charity effort in response to the devastating Tōhoku earthquake, which resulted in the deaths of nearly 15,000 people. The album also included contributions from other prolific game composers such as Nobuo Uematsu, Koji Kondo, and Yasunori Mitsuda. Using the same software Freebird Games used to create To the Moon, Ms. Shigihara, along with Ms. Toyonaga and an artist by the name of Matt Holmberg set forth on this new project. 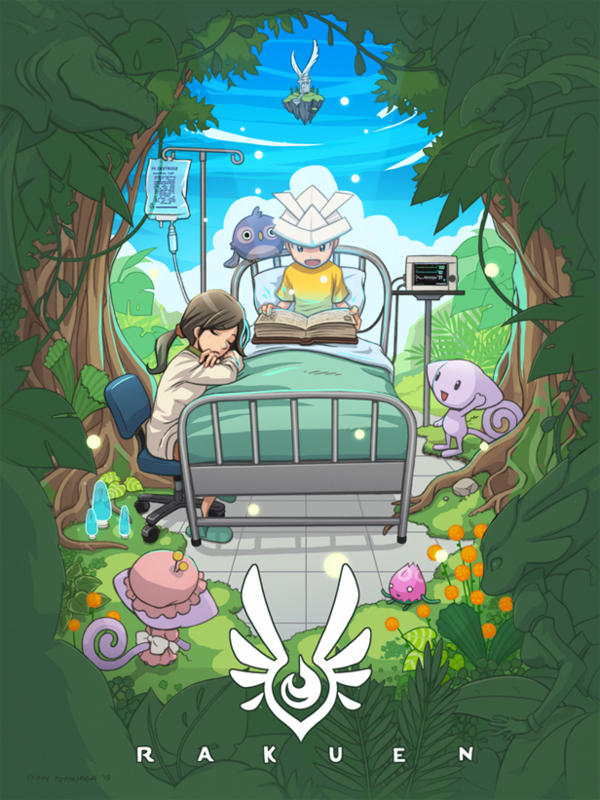 The game was named Rakuen after the Japanese word for paradise. Four years in the making, the project saw its completion in January of 2017, seeing its official release in May of that year. The game was met with a reception not dissimilar to that of To the Moon. Critics praised its heartfelt story in particular, believing it to be a step forward for the medium as a whole. In the 2010s in particular, many developers tried to tug at their audience’s heartstrings with their narratives. How did Rakuen fare against these myriad competitors? The early internet age gave rise to the popularity of a piece of software called RPG Maker. Though builds of this program had existed as early as 1992 on various Japanese platforms such as the Super Famicom, it would gain international popularity when the first Windows version was released. Its greatest appeal was that it allowed anyone to craft their own experiences in the medium. Before, one would need a degree of expertise to even entertain the idea of making a game. In spring of 2014, a gaming community centered on the software, RPG Maker Web, held a contest for aspiring indie developers. Dubbed the Indie Game Making Contest, the rules were simple: the entrants needed to create a game using RPG Maker, and they had from May 29 to June 30 to complete this task. Among the entrants was a duo of programmers: Eliza Velasquez and Casey “Nightmargin” Gu. The former focused on writing the scenario and coding while the latter served as the main artist, contributing character designs and music, though there was a lot of overlap. Created in RPG Maker 2003, they named their work OneShot. Unfortunately, despite their best efforts, the two of them did not win the contest. The contest was won by Red Nova for his RPG, Remnants of Isolation. Not letting the defeat damper their spirits, Ms. Velasquez and Nightmargin decided to remake and expand their creation. To this end, they upgraded to the more advanced RPG Maker XP, and recruited a third person by the name of Michael Shirt. He proved immensely helpful when it came to debugging, resolving many game-breaking issues during development. When their work was finished, they made the improved version of OneShot available for the popular digital distribution platform Steam on December 8, 2016. Upon its official release, it quickly became a hit with the reviews on Steam being described as “Overwhelmingly Positive” – a rare achievement in the community. How did this game resonate so deeply with those people? In the early nineties, a man named Jonathan Blow began studying computer science and creative writing at University of California, Berkeley fresh off his high school education. One of his most notable achievements during his tenure there was being president of the Computer Science Undergraduate Association for a semester. Despite this and somewhat ironically, he left the university mere months before he was slated to graduate in 1994. He then started doing contract jobs, one of which was with Silicon Graphics to port the immensely popular Doom, the game responsible for fully codifying the first-person shooter genre, to a set-top device. Shortly thereafter in 1996, he along with Bernt Habermeier formed Bolt-Action Software, a game design company. Their first project was to be a tank combat game named Wulfram. In an inventive twist, the vehicle was capable of hovering. However, during this time, the medium was in the process of a paradigm shift. In September of 1996, Super Mario 64 was released in North America. Though earlier efforts such as the aforementioned Doom projected the illusion of 3D, Super Mario 64 provided the genuine article. This was the beginning of a revolution that would see 3D gaming fully embraced by the industry to the point where many quality console 2D titles fell by the wayside. This did not bode well for Mr. Blow and his team, and progress slowed to a crawl. These matters were exacerbated further in the wake of the dot-com bubble’s collapse in the early 2000s. With nothing to show for their four years of work, Bolt-Action Software opted to fold in 2000, leaving them $100,000 in debt. Following this failure, Mr. Blow continued doing contract work for companies such as Ion Storm, and started writing for industry publications – one of them being Game Developer Magazine. He also worked on a project for IBM to create a technology demo similar to his scrapped Wulfram concept. It showcased the capabilities of the cell processor IBM was collaborating on that would become a key component of Sony’s PlayStation 3 console. Mr. Blow sought funds from Sony and Electronic Arts to turn his demo into a full game, but his proposition fell on deaf ears. In December of 2004, Mr. Blow took a trip to Thailand when inspiration struck. Upon his return, he created a prototype in a week and sent it to his friends who told him they liked it. With newfound determination to bring this vision into reality, his passion project began in earnest the following April. By the end of the year, the gameplay had been polished to his liking. However, there was a problem: the graphic art consisted mostly of placeholders, lending an amateurish presentation. To resolve this issue, Mr. Blow began looking for graphic artists. He found this to be a daunting task, and has since emphasized the difficulty of “[finding] someone who is talented and willing to sit down and really understand and care about your game, even if you are willing to pay a lot of money”. Eventually, he two people were referred to him: Edmund McMillen and David Hellman, the former of whom would contribute character designs while the latter of was hired by Mr. Blow as the lead artist. Over the next three years, Mr. Blow put $200,000 of his own money into his game’s development – a majority of it went towards Mr. Hellman’s artwork and living expenses. In 2008, the game was at last finished; all they needed now was an opportunity. Fortunately for them, one presented itself fairly quickly in the form of the Xbox Live Arcade. By this point in gaming history, all of the consoles – the Xbox 360, PlayStation 3, and the Wii – had their own download services while PC users had access to Steam, the quintessential digital distribution platform in many players’ eyes. The Xbox in particular started promoting games through its own service with its first annual Summer of Arcade event. Among its titles was Braid, the game Mr. Blow and his team lovingly crafted. On a day after not receiving any money, he was taken aback at the number of zeroes displayed in his bank account – his work had sold more than 55,000 copies in its first week alone. Suddenly, in a year that saw the debut of many big-name, AAA efforts such as Metal Gear Solid 4 and Grand Theft Auto IV, Braid managed to rise to the top in many circles. Long-time enthusiasts rejoiced, as there was another game they could highlight to demonstrate the medium’s artistic merits to a skeptical public. To this day, Braid is heralded as a hallmark of the independent gaming scene and one of its greatest success stories. In 2006, a man named Steve Gaynor began his career in game design as a tester for Sony and Perpetual Entertainment. In his spare time, he made amateur levels for the 2005 first-person, survival-horror shooter, F.E.A.R. Using this experience as a springboard, he began to work as a designer for TimeGate Studios wherein he worked on Perseus Mandate, a standalone expansion for F.E.A.R. He then joined 2K Marin where he worked on various levels for BioShock 2, the follow-up to Ken Levine’s thought-provoking first-person shooter. After the game was released in 2010, he then served as the writer and lead designer to Minerva’s Den, an official expansion pack. Both the base game and the extra content generally met a warm reception, though not quite on the same level of its predecessor. Placing an emphasis on storytelling, their first product, Gone Home, was released in 2013. The game quickly became a firm favorite with critics, receiving nearly universal praise from numerous big-name publications. 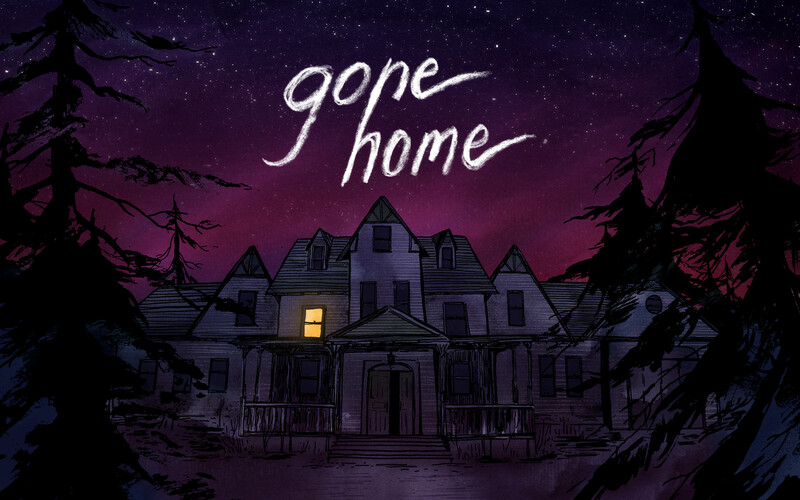 The British Academy of Film and Television Arts (BAFTA) called Gone Home the best debut of 2013 while it was christened Game of the Year by Polygon. To put this in context, 2013 is considered one of the strongest years in gaming with BioShock: Infinite and The Last of Us being touted as storytelling masterpieces and fitting swansongs for the seventh console generation. Somehow, in the face of this tough competition, the humble Gone Home managed to match, and in some circles, exceed, the critical acclaim of these big-budget titles. How was this team able to accomplish the seemingly impossible? In 2008, an up-and-coming game designer by the name of Jonathan Blow released his debut title, Braid. It received massive amounts of critical acclaim for its inventive platforming mechanics, subversive storytelling, and eye-catching art style. Along with Cave Story released four years earlier, Mr. Blow’s title helped the independent game movement gain steam, inspiring many artists to follow in his footsteps for years to come. Shortly after his first game debuted, Mr. Blow began working on various prototypes for possible builds. One concept in particular stuck out to him as particularly viable, though challenging considering it would require developing a 3D game engine to properly implement. Realizing the slightest mistake could compromise his progress, he began working on a new game in earnest in late 2008. By 2009, this project had a name: The Witness. In contrast to Braid wherein he completed most of the programming himself, Mr. Blow created a team known as Thekla, Inc. to help bring his vision into reality. Making the game proved to be long and arduous due to a number of factors ranging from Mr. Blow’s wishing to expand the scope to opting against any time and cost-saving solutions. At no point did he allow the gameplay itself to be diminished in any way, nor did he permit the use of a premade engine to expedite the process, as he wanted to have total control over every conceivable element. 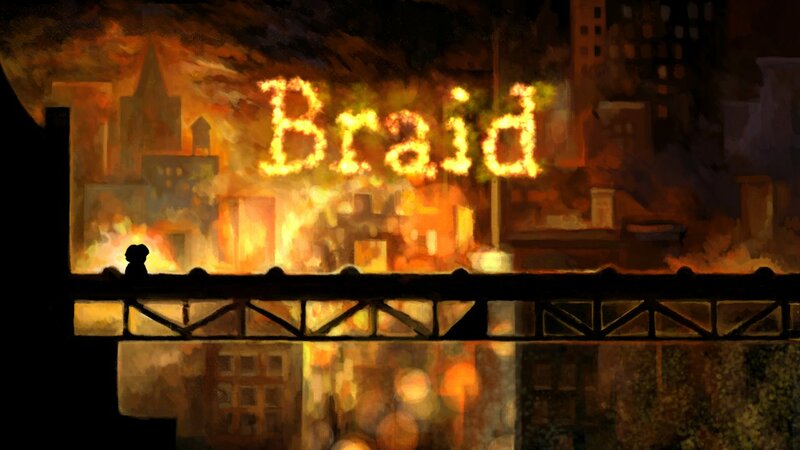 To fund this project, he used revenues from sales of Braid, though it was exhausted by February of 2015. Undeterred, he sought additional capital, and by the time the project reached completion, estimations suggested it cost just under six million dollars to make. 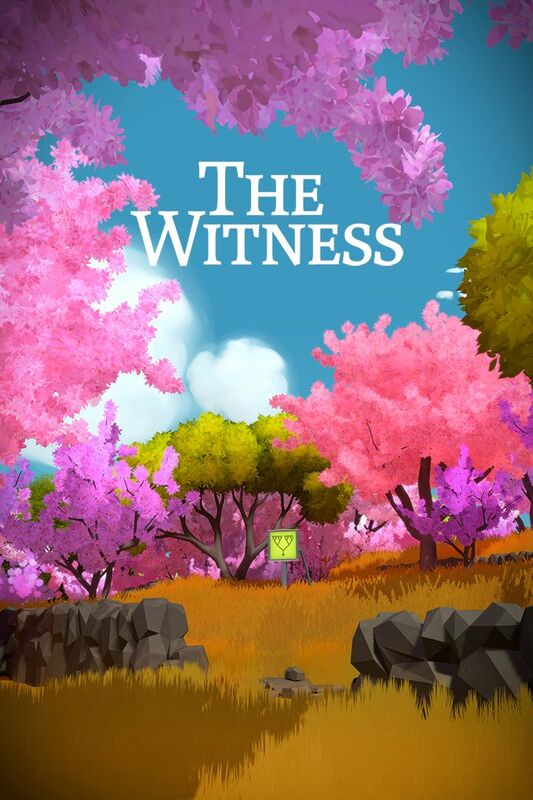 The Witness was finally finished and released in 2016 whereupon it received nearly unanimous critical praise. The gaming press was quick to cite Mr. Blow’s sophomore effort as yet another triumph for the venerable 2010s indie scene. Considering the creative new directions contemporary artists explored through their work, how does Mr. Blow’s The Witness fare in the face of such tough competition? In 2011, a budding game creator named Davey Wreden released a free modification for Half-Life 2 named The Stanley Parable. This mod was discovered through word of mouth by William Pugh, an independent game designer who had experience creating environments using the Source engine. Noticing that Mr. Wreden was seeking suggestions for improvement, the two of them began collaborating, eventually turning The Stanley Parable into a standalone game. The project found its way onto the game distribution platform Steam in 2013 via their Greenlight service. The game was met with nearly universal critical praise, with many reviewers calling it a masterful deconstruction of the nature of choice in video games. Having found an audience, Mr. Wreden began developing a follow-up to his acclaimed work, which he would complete in 2015. 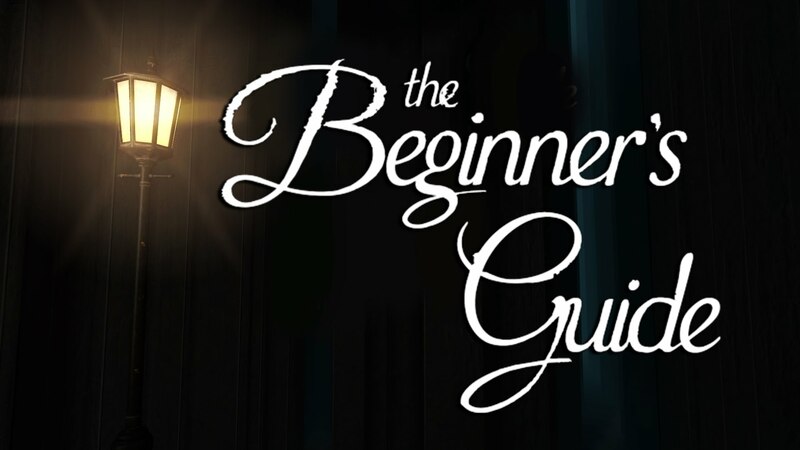 Unlike The Stanley Parable, this new game, The Beginner’s Guide, was released with little fanfare; its existence was only made known to the world a mere two days prior. The gaming press gave Mr. Wreden’s sophomore effort many accolades; Gamasutra highlighted him as one of the top ten game developers of the year, and he was nominated for two Independent Games Festival awards. In both instances, critics cited his scenarios as thought-provoking and able to change the way people look at games. It’s impressive he managed to catch their attention twice in a row amid worries that The Stanley Parable would be a tough act to follow. Does it truly escape its predecessor’s shadow and shine as an example of good video game storytelling?